The London Acupuncture Clinic joined The Hogarth Clinic in 2011 and since then they have built up a loyal and satisfied client base. They also have long established clinics in Harley Street, Ealing and Windsor. Acupuncture is the time tested therapy that has been practiced in the Far East for thousands of years. The philosophy behind the treatment is that energy lines or meridians circulate around the body. These meridians contain our energy flow or “qi”. It is when this qi is impaired through the body that imbalance and illness occurs. With the insertion of fine needles at various points on the meridian, the energy can be moved or redirected to where it is needed most. In this way the body's balance can be restored and the illness resolved. The flow of energy can be disrupted in many ways; emotional upset, physical trauma, poor diet or overwork are all common examples. By examining this underlying cause and how it has affected the body, the most appropriate treatment for the patient can be selected. Treating the patient as an individual is at the core of the acupuncture treatment and it this that helps allow the body to rebalance itself. Our practitioners at The Hogarth Clinic. Annabel trained at The College of Integrated Chinese Medicine earning a BSc (Hons) in Acupuncture. She practices an integrated style of acupuncture, combining the two schools of acupuncture, Five Element Constitutional Acupuncture and Traditional Chinese Medicine (TCM). She also incorporates Tuina (Chinese Remedial Massage) into her practice. Over the past 3 years she has undertaken postgraduate training courses in Gynaecology & Fertility, Obstetrics, and Gastroenterology with Sandra Hill and Barbara Kirschbaum at The College of Integrated Chinese Medicine, and with Jani White at The Birkbeck University of London. Annabel treats a wide range of conditions tailored to each individual. Her approach is holistic with treatments focusing on all aspects of the human condition, physical, mental and emotional. With a personal approach, according to her patients’ needs, she incorporates dietary and lifestyle advice to bring about good health. She is a member of the British Acupuncture Council (BAcC), and the London Acupuncture Childbirth Team (ACT). Jason is a qualified Doctor of Chinese medicine and has been in full time practice since graduating from Beijing University of Traditional Chinese Medicine in 2003. On returning to London Jason completed a Master of Science degree in Complementary Medicine at the School of Integrated Health University of Westminster in 2006. His paper titled “Gatekeepers and the Gateway” was published by the British Medical Journal in their 1st edition of Acupuncture in Medicine (2009). Jason has extensive experience in treating male and female reproductive health as well as general medicine conditions. Alongside Chinese Medicine Jason has a thorough knowledge of western medicine. He studied pharmacology at the University of Portsmouth in 1990 and went on to design and co-ordinate the teaching of western medicine within an undergraduate degree in Acupuncture for the London College of Traditional Acupuncture, affiliated to the University of Portsmouth. 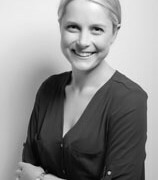 Anna is a qualified acupuncturist and registered member of the British Acupuncture Council. She studied at Westminster University where she graduated in 2004 with a BSc in Traditional Chinese Medicine: Acupuncture. Following completion of her course she spent a month in China furthering her studies and treating patients in two hospitals in Sichuan Province. Anna has a special interest in gynaecology, fertility and pregnancy and has completed post graduate studies in fertility acupuncture, acupuncture for assisted conception and IVF, gynaecology and obstetrics. She has worked in private practice since graduating. Before starting her own family Anna worked in the IVF unit at Hammersmith hospital providing acupuncture support to couples going through IUI and IVF. Anna aims to provide a relaxing and supportive environment for her patients. She treats the individual and looks at achievable changes that can be made to diet and lifestyle to help improve general health and to optimise fertility. Anna works in the Chiswick practice. She also has her own practice in Thames Ditton, Surrey. While training for her Honours Degree of Bachelor of Science in Acupuncture, Mihaela studied Classical Chinese Medicine under Dr Arnaud Versluys. Mihaela is particularly interested in stress management. Stress is a foremost cause of health problems, with the mental strain and anxiety of a fast-paced life often leading to emotional disorders, fatigue, fertility issues, physical tension, digestive disorders and a myriad of other problems. Whilst addressing these disorders, she is focused to prevent the harmful effects of stress, bringing lasting balance to various systems. Mihaela is certified in the Mind/Body program for fertility and women health, led by Professor Alice Domar, Professor of Obstetrics, Gynecology, and Reproductive Biology at Harvard Medical School. Mihaela has undertaken post graduate study with Dr Herbert Benson, founder of the Mind/Body Medical Institute, Professor of Medicine at Harvard Medical School. Mihaela is dedicated to treating gynaecological and infertility conditions in conjunction with western therapies, aiming to optimise the experience of menstruation and to restore fertility. She has undertaken post graduate study in gynaecology, obstetrics and reproductive immunology and worked alongside Mr Amin Gafar and Mr Hassan Shehata at the NewLife Fertility/IVF clinic. Support on lifestyle medicine will be considered, together with the basic science of nutrition, exercise, stress management with simple and practical strategies to incorporate into your personal care. 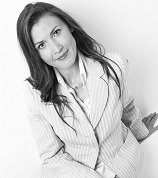 Mihaela works in Chiswick and Wimpole Street branches. 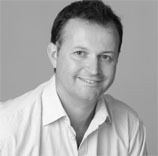 After graduating in 1996 and further study at the London College of Traditional Acupuncture (LCTA), Daniel developed his practice in Windsor and then continued his development with a period of hospital-based work in China and He then founded The London Acupuncture Clinic. He has been a member of the British Acupuncture Council since graduating from the LCTA where he also went on study Chinese Herbal Medicine and which he now uses in conjunction with acupuncture. He has acted as a consultant for the Oriental Medicine Research Trust and also sat on the British Acupuncture Council committee. As well as teaching, Daniel acts as an acupuncture expert for media companies such as SKY and magazines like Mens Health. Daniel has done extensive post graduate study and has published in the field of gynaecological disorders and infertility. Daniel is not currently taking new patients at The Hogarth Clinic.